Richard Freeman was born and raised in Brooklyn, New York into a very traditionally Jewish, though not religious, family. He did, however, receive religious training for five years in a conservative synagogue and received his Bar Mitzvah at age thirteen. In 1973 Rich married Julia DeBellis who was from an Italian Catholic background. It was primarily through Julia’s spiritual pilgrimage that God reached Rich. But first Rich met a born-again Christian, his supervisor at work. Though Rich responded angrily at first to this man’s sharing his faith, his life was a wonderful testimony of the peace and joy that comes to those who put their faith and trust in the Lord. The joy in his life made Rich jealous and opened his heart to what was to come. In August 1982, Julia accepted Jesus as her Lord and Savior and immediately began praying for her husband’s salvation. In January 1983, God answered that prayer. Through the ministry of Chosen People Ministries, Rich heard and responded to the gospel message and accepted Jesus as his Lord and Savior.Following that experience, though staunchly Jewish nationalistically, he drifted away from the synagogue and attended only on the special Jewish holidays. Immediately, God gave him a hunger to know Him and His Word intimately. He immersed himself in the Bible and was discipled by his pastor. In the summer of 1987 Rich and Julia responded to God’s call and moved to Dallas, Texas where Rich attended Dallas Theological Seminary. While in Dallas, Rich worked as a missionary with Chosen People Ministries. 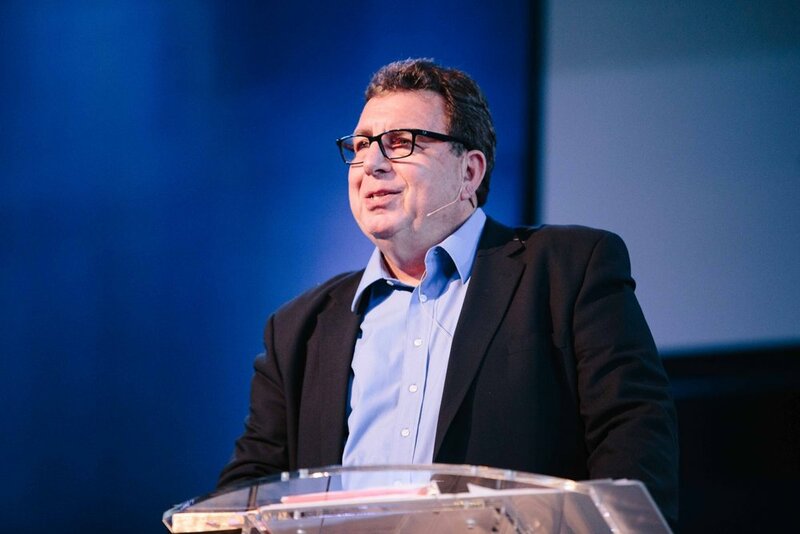 Before finishing the degree program at Dallas, Rich was called to pastor the congregation where he was saved, Light of Israel Messianic Congregation. He became pastor of that congregation in December 1989. In April 1994, Rich also became pastor of Dunwoodie Baptist Church in Yonkers, New York, which is where Light of Israel’s services were held. So, for five years of his ten-year pastorate he enjoyed the unique challenge of pastoring two congregations. On July 1, 1999 Rich assumed his position as Vice-President and Director of Church Ministries and Conferences for Chosen People Ministries. Rich works with churches throughout the country and abroad. Rich teaches Bible Conferences on various topics such as Jewish Evangelism, Messianic Prophecy, End-Time Prophecy, The Church and Israel, The Feasts of Israel, and much more. He also ministers to local churches in Florida where he and his family reside. Rich finished his studies begun in Dallas, at Conservative Baptist Seminary of the East, where he received his M.Div., in September 1994. Rich received his D.Min. at Gordon-Conwell Seminary in 2004. Rich and his family are active members of First Baptist Church of West Palm Beach. He and his wife Julia have three children and two grandsons.